Here are some articles to keep you up to speed: Why Google Analytics Tagging Matters – Whiteboard Friday; 5 Creative Ways to Use LinkedIn Company Pages; 15 Tools For Generating Killer Content; and Geographical Targeting In An Enhanced Campaign World. 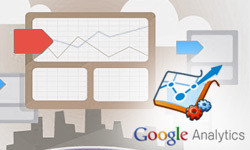 Have you ever wondered about the accuracy of direct traffic sources within Google analytics? Rachael Gersons states that direct is Google’s way of saying, “We have no idea what this is, so let’s call it direct and throw it in that bucket.” This is why tagging your URLs with UTM parameters will provide the exact traffic source. With 200 million members, LinkedIn is a great medium for showcasing your business. Company pages are constantly evolving and creating better client, prospect and advocates engagement to help grow the visibility of your business. Since Google’s Panda algorithm update, SEOs have shifted more focus on creating linkable material. Creating fresh content ideas is the key to a killer content marketing strategy; however, it’s also the most difficult part to plan. Staying up-to-date with the latest industry trends will help ensure that content reaches its maximum potential. Google AdWords newest and largest advancements enhanced campaigns is forcing advertisers to make changes to their campaign structure. 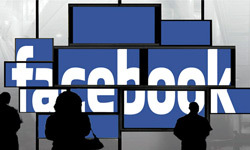 Nonetheless, the changes will make managing multiple campaigns much easier, especially for mobile ad targeting. Great articles, I’ll have to forward this list to my ‘geek’ friends! A very useful set of references for internet marketers etc. It is always interesting to get some insights into how Google functions. Thanks @drdurham77, I’m glad you for my post useful. Not only is information of Google functions interesting, it’s never ending! That’s why I like to highlight any changes in this weekly post! I really like the article dealing with 15 Tools for generating killer content. It taught me about 2 sites that I didn’t even know existed. Thanks for posting these. The “Generating Killer Content” article was awesome. I’m trying to get all the help I can because Panda has been killing my rankings as of late. This really, really helps out a lot. Article bookmarked! Thanks for sharing these. I particularly enjoyed the article about improving your company’s LinkedIn page. My pleasure @Brett. I’m glad you find my post useful!